b.e.g. 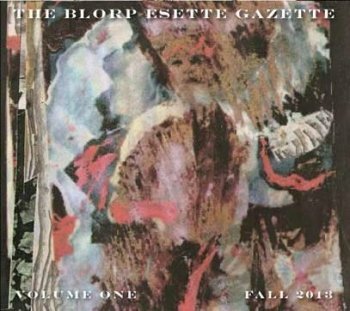 stands for "blorp esette gazette", but it's also a literalist examination on the notes b, e, and g. \\\ dedicate this recording to tod dockstader, author of one version of the apocalypse. written by juan gomez, published 2002 humaneer music, bmi. the hubcap project was juan gomez - vocals & rhythm guitars, pierre smith - lead guitar, willy bongiovanni - bass guitar, kristian hoffman - keyboards, john chamberlain - drums, production & engineer. recorded in 1981, perhaps to lay rest to the notion that mr. ford was incapable of playing the radio. written and recorded by electric bill robinson (1954-2011) in 1976. all voices and instruments by electric bill robinson. recorded in february 2000. the impressionists were juan gomez, rod barker, dennis duck. aquifer ('95-'96) was an ever-changing, large ensemble, put together with the idea of bringing together people who would not normally perform together. most of the pieces involved written or verbal instructions. performances were assembled by kraig grady. instructions are as follows: players are gathered in the middle of fthe stage. one by one they play or accompany the gary owen reel, custer's favorite song, and them of the 7th calvary. after everyone has joined in playing the reel in some capacity, each player, one by one, becomes an indian and begins circling the rest of the players, playing such things to interrupt or "attack" what the others are playing. the piece ends when all the players become indians. those that are unable to move are mock killed and pleay dead until the end. the inclusion of "taps" at the end was the spontaneous inspiration of richard linnett. aquifer was (that evening in may '96): ester balint - violin, richard linnett - trumpet, jeff tady - guitar, victor balogh - bass, daisy - dog, eric gill - sax, celeste moreno - oboe, michael intriere - cello, jean halbermann - sax, brandon labelle - snare drum, cambell dallas emory iii - snare drum, mary mullen - lead lakota/string bass, max markowitz - trumpet, rick potts - saw!, jorge martin - clarinet, eric hoffman - clarinet. written by moris tepper. published 2002 candlebone music, ascap. larry easter (1948-2012) was the saxophonist for the mystery band for some 10 years and also was known as the saxophonist for linn county in the 1960s. recorded 2000 by david orser at aim recording company, tujunga, ca. recorded in pasadena, ca 2/15/74. smegma was at that moment allen b. lloyd, ju suk reet meate, amyzon bambi, binky brown & ace farren ford. recorded in portland, or 5/8/13. rock 'n' roll jackie, ju suk reet meate with david morgan and madelyn wilson. threed: john "harpo" whittington - clarinet, terence d. keenan - vocal, piano, alan saul - clarinet. recorded live at the old towne pub, pasadena, ca 10/19/91, recorded by mr. foon. the mystery band was: lance growler richard snyder, maurice mystery mao-tse ducktoast jones, gary mercury leatherwing riley, pierre bamboo dupuy, ace farren ford with king john fisher - vocals. recorded 1/1/87 at 4843 townsend ave., eagle rock, ca. anne harney, donald byrnes, karen fowler, dr. odd, ace farren ford.